Swype finally hits the Google Play store for $0.99. 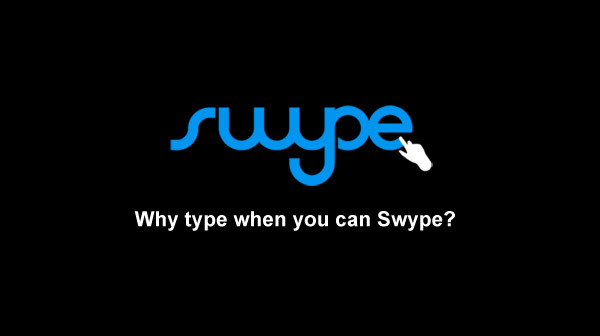 Swype was typically seen as just the app to solve the problem of typing on smartphone screens—probably users with large fingers. For whatever reason, Swype Inc. weren’t interested in selling the software to users via marketplaces, but as installed software for new smartphones. So many users—with large fingers or poor accuracy—were left to misspell words for another three years. That is until now. Nuance recently purchased Swype and is releasing it for users who want it. For those not familiar with Nuance, they are the company that developed Dragon Natural Speaking so making typing a bit easier falls in with what they do. Unfortunately for Swype, it’s a bit late to the party. When there is software that has proven to work elsewhere or there is a need to make something easier, you can bet that other versions or different software that does something similar will pop up. This exact same thing happened in to Swype while it was playing “too cool to be an app”. Keyboard apps such as SlideIt and SwiftKey stepped onto the dance floor and pretty much did the job that Swype would’ve done. On top of that, Android Jellybean comes with gesture typing. Swype are bringing something else with two-handed swipe typing, pretty accurate word prediction, and Nuace’s Dragon Dictation speech-to-text. Needless to say, you shouldn’t dismiss Swype just for being late, there’s still a bit of flavor there. When it comes to handling multiple languages for instance, users have said that Swype works better for them that top rated SwiftKey. However, the gap between when Swype came out and when it finally found its way to the Google Play store have given users more time to adapt to how SwiftKey and other similar apps work. Again Swype is available in the Google Play store for $0.99 and a free trial version is available for users who want to try it out on smartphones only at the moment. Will you be picking up Swype?